Sending an ailing Lalu Yadav from Delhi in a train that took 14 hours to reach Ranchi earlier this week was in bad taste and smacked of vindictive politics, Mr Sinha said in a series of tweets. 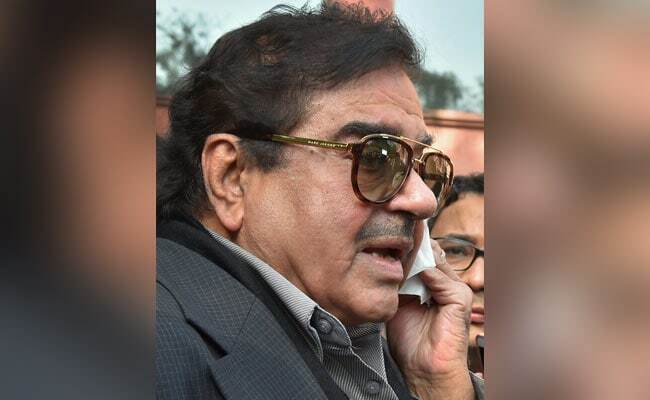 Geneva/New Delhi: BJP lawmaker Shatrughan Sinha today alleged that "inhuman treatment" was meted out to Rashtriya Janata Dal or RJD supremo and former Bihar chief minister Lalu Prasad Yadav during and after his hospitalisation at the AIIMS in New Delhi. "The inhuman treatment given to popular mass leader & Ex CM Lalu Yadav during & after his hospitalization in Delhi was saddening, in bad taste & not appreciated by one and all. After all he has been our old friend & colleague & has been in state & national politics for very long (sic)," the actor-turned-politician said. Lalu Yadav, who is serving sentence in a number of fodder scam cases, was discharged from the AIIMS on Monday after a medical board of the hospital said he could safely undergo treatment at the Rajendra Institute of Medical Sciences (RIMS) in Ranchi. The RJD chief was admitted at the AIIMS for over a month. Using the word "sir" to address Prime Minister Narendra Modi, without naming him, Sinha asked, "Sir, could Mr Lalu Yadav not have been at least sent back on a flight instead of being forced to make a 14 hr train journey, with his ailing health condition, against his will & wish...on purely humanitarian grounds (sic)?" "This is an era of vindictive politics....but Lalu Yadav deserved better treatment at AIIMS or wherever he wishes to be treated instead of being pushed out against his wish...since he does suffer from many diseases whose treatment facility is not available everywhere (sic)," Mr Sinha, who had met Lalu Yadav at RIMS before he was shifted to AIIMS, tweeted. The Patna Sahib MP has been critical of his own party and the Modi government for quite some time. Lalu Yadav was brought to the RIMS by the Rajdhani Express. His condition had worsened on board, following which he was treated by doctors at the Kanpur railway station. 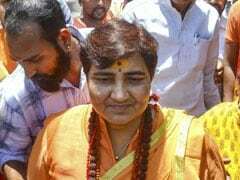 The RJD chief had protested his discharge from the AIIMS and shot off a letter to its director, saying, "If my life is threatened by this decision, you will be held responsible." Lalu Yadav's younger son and the heir apparent in the RJD, Tejashwi Yadav, had alleged that his father was shifted from the AIIMS because of a "political conspiracy". The RJD chief had met Congress president Rahul Gandhi hours before he was discharged from the AIIMS.